DISCLAIMER: I came across information that the site that reported on this may not be trustworthy. I pulled the video I made on this blog entry until I can verify all this. It does appear valid as Jay-Z has been known to be very vocal about his hatred for Christians. And the site that posted his rant backstage was only caught in ONE false reporting issues to date. And so I am still wondering as to what's up here. That all being said, I still think we need to pray for Jay-Z. 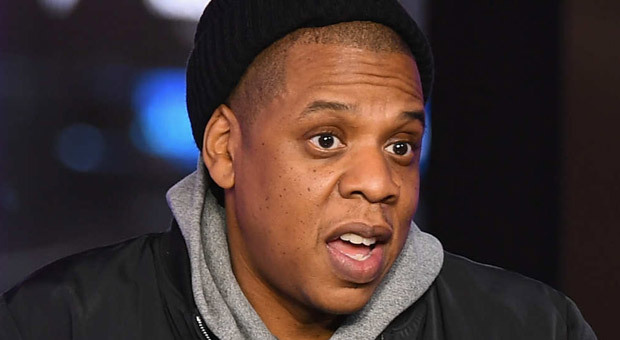 We need to pray for Jay-Z as he is declaring publicly that he is possessed by Satan in the same way an obedient Christian's fruit shows the Holy Spirit is within them. Being in the very last days we are to expect demon possessed people to come forward more often now than ever before in history because Revelation 12:12 says "…the devil is come down unto you, having great wrath, because he knoweth that he hath but a short time." Satan simply cannot waste time trying to hide his agenda anymore. There's not enough time left for him to do that and still get large numbers. He knows that every prophecy that was declared to come to fulfillment by this time in history has been well documented to have been fulfilled with only a few left to go before Jesus returns. And so the enemy of souls knows he has to open the demonic floodgates in the hopes of luring as many souls into hellfire with him because it's all about to end for him. And so now he doesn't care if people know he is the one behind it all. Everything is in place for this final act of the devil to work for him because he has not only had 6000 years to learn how best to lure mankind towards the fire reserved for him and his fallen angels, he has also gotten most to not only ignore, but hate the Christian God that loves them enough to not only take their warranted place in death for all the sins Satan moved them to commit, but to warn them in His prophetic Word how the end would come, which by the way proves Jay-Z is lying about Jesus. Everything we see today proves the prophecies of our God are 100% accurate. Just to name a few, this includes the increase in earthquakes, calamities, strange weather patterns, animals, fish, birds and insects dropping dead in biblical numbers, wars, homosexual marriage, drugs, blatant promiscuity, and yes even demon possessed people not only killing in mass shootings, but some like Jay Z coming forward to declare Satan is lord. Most people don't read Bibles today as also prophesied and so just as the cash flashing in the hand of the local drug dealer lures the young children in the neighborhood to seek a life of crime, the rich in the entertainment industry do their part for Satan in many other areas thanks to their awful movies and music drenched in filth. What Jay Z and so many more forget to remember is that Jesus did in fact warn all of us about how Satan uses the riches of this world to get people to worship him. This is why Jay-Z is a billionaire. After Jesus fasted 40 days in the desert, Satan tried to tempt Him three times. The last temptation, the dying god of this world showed Jesus all the riches and glory of the world, and then stated in Matthew 4:9 "…All these things will I give thee, if thou wilt fall down and worship me." As we know, our Creator and King Jesus refused to bow to him so as to be the perfect Saviour of every obedient soul that accepts Him as Lord just as He promised He would. But sadly, many like this billionaire rapper have decided to take Satan up on his offer instead. So again, please pray for Jay Z. Just as Satan has very little time left, so does he.